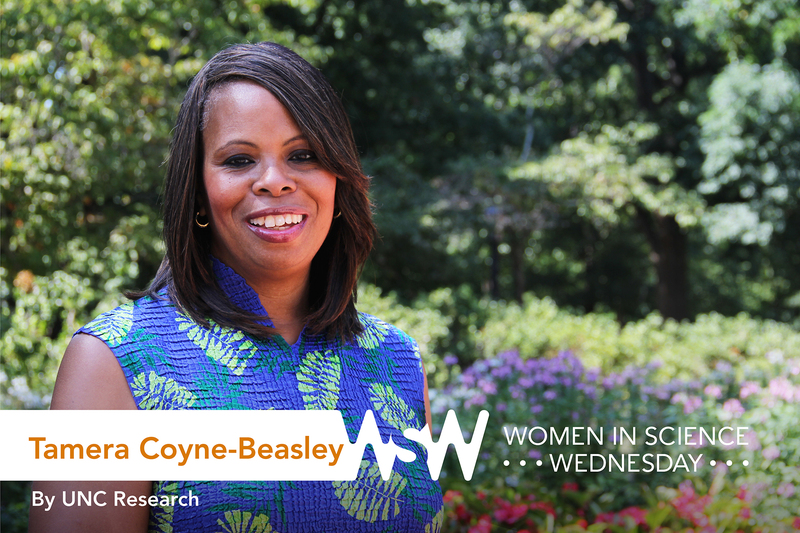 Tamera Coyne-Beasley is a professor of pediatrics and internal medicine within the UNC School of Medicine, as well as director of the North Carolina Child Research Health Network at the North Carolina Translational and Clinical Sciences Institute (NCTraCS). She is the president of the Society for Adolescent Health and Medicine. Her research focuses on sexual health, vaccines, injury, and violence prevention among adolescents. My response was always that I wanted to be a doctor — and I don’t ever remember saying or wanting to be anything else. I didn’t have any doctors in my family, but there were lots of individuals in my family and community who were sick with limited access to health care, and who died prematurely. I went into both adult and pediatric medicine so I could take care of the entire population, particularly those underserved. While moonlighting during my residency, I worked with some fellows from the UNC Robert Wood Johnson Clinical Scholars Program. They shared how their research could improve health outcomes and impact clinical practice and policy, and encouraged me to apply. After my acceptance into the program, I began my pathway to an academic and research career with a focus in adolescent medicine. 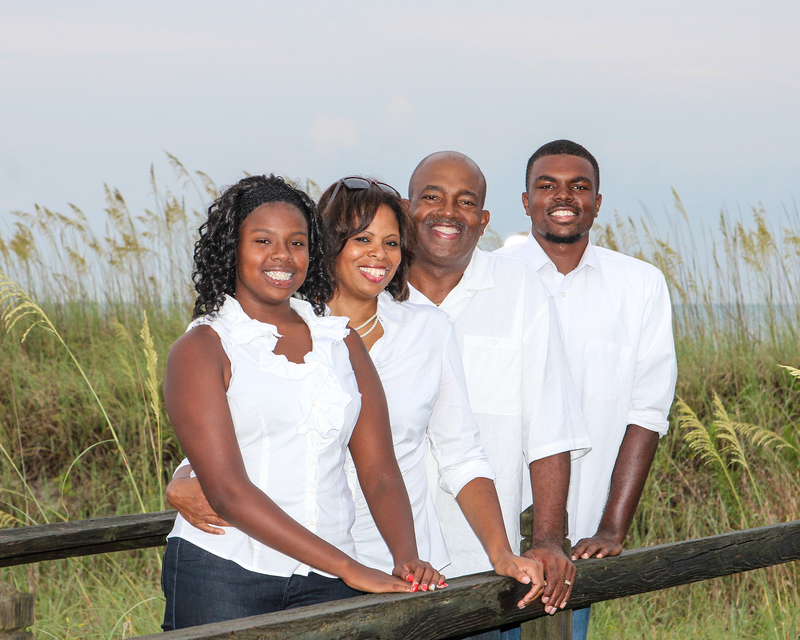 Coyne-Beasley (second from left) with her daughter Kayla, husband Darryl, and son Keith at North Myrtle Beach. My research in sexually transmitted infections included HPV as the science evolved, and we understood HPV to be a sexually transmitted infection that caused cancer. This ultimately led to research on HPV vaccines. As I continued to do this research, I was appointed by the U.S. Secretary for Health and Human Services to serve on the Advisory Committee on Immunization Practices (ACIP), which makes vaccine recommendations for the United States. Though my term as a voting member of the ACIP has ended, I remain on the HPV and adult immunization workgroups, and continue to participate in the review of the scientific research and development of ACIP vaccine recommendations for children, adolescents, and adults in the United States. Find balance. Prioritize the things that are important to you outside of work. Do not stray away from undertaking important challenges because of the difficulties or obstacles that may confront you. Explore beyond your own perspectives, biases, and boundaries — and let the science lead you to unimaginable heights and new directions. Engage others, especially the underserved and underrepresented. It is only then, through inclusion and diversity, that your research can truly be excellent and transformative for all.